This position is to oversee the administrative management of Executive Office and provide efficient secretarial support to the General Manager, to ensure smooth operation in administrative work flow and management reporting. 员工福利?Benefit1.酒店将为你缴纳五险一金；social Insurance & housing fund2.酒店将为你提供店龄津贴；seniority wages allowance?3.酒店将为你提供每月员工活动津费；monthly activity fund4.酒店将免费提供倒班和长住宿舍；free dormitory5.酒店会为您提供优质的免费工作餐；free duty meal6. ?酒店将为您提供每周双休;2 days off per week7. ?酒店会为您提供免费的制服和工鞋及制服洗涤服务；free uniform?8.? ?酒店配有舒适的免费洗浴设备；?free comfortable bath facilities9.? ?酒店配备多功能文娱活动室；multi-functionalrecreation room10.? ?我们将定期开展丰富的员工团队活动；teambuilding activity11.??我们为每位同事量身定制培训课程和发展计划；training职责范围? ?Areas of Responsibility1. ?与部门内部及其它部门同事保持良好的工作关系To maintain good working Relationships with your own ? 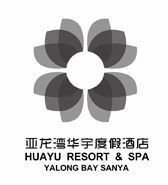 colleagues, and all otherdepartments.2.确保对员工手册的完全理解并保证行为符合标准To have a complete understanding of the hotel’s employee handbook and adhereto the regulations contained within.3.执行直属上司要求的特殊责任To carry out any other reasonable duties and responsibilities as assigned.4.及时有效的执行公司的政策和程序来实现这个职位的目标Performs allduties and responsibilities in a timely and efficient manner in accordance withestablished company policies and procedures to achieve the overall objective ofthis position. 职责概述GENERAL MISSIONS? 确保并负责酒店总经理及市场销售部行政上的需求。To assist and responsible for administrative and general assignments from the General Manager and of the department.? 确保酒店各部门行政工作的有效运作。To ensure efficiency of the administration of the department.? 与酒店各部门很好的合作以便于酒店营运方面和管理方面平稳的发展。To cooperate with other departments in order to ensure the smooth operation and the management of the hotel. 1.申领、添补各类内部使用表格和办公用品。 2.办理住店客人住宿登记证明。 3.配合安全部主管作交班事项登记和检查巡逻情况。 4.办理员工离职登记手续。 5.协助安全部总监作好翻译和会议记录工作。 6.协助安全部总监作好部门物资领用统计工作。 7.初审员工请假、就诊报销等事宜。8.与酒店各部门搞好协作关系。 9.注意作好文秘工作中涉及需要保密的事项。 10.与部门同事建立良好的关系。 11.真实反映员工情况和个人想法。 12.严格执行人事部发布的《考勤政策》。 13.协助安全部总监严格督促部门所有员工每日认真签到并做好相应记录。 1.Request for any format and stationary. 2.To handle guest registration forms. 3.Assist the SSC Supervisor in recording the handover work and inspecting the patrol. 4.Handle ambassador registration procedure. 5.Assist Director of SSC in dong the interpretation and meeting minutes. 6.Assist Director of SSC in the statistics of goods and materials requisition. 7.Examine ambassador leave and expense account firstly. 8.Co-ordinate and co-operate with all other departments. 9.Pay attention to the confidentiality whole doing the paperwork. 10.Establish good relationship with other departmental ambassadors 11.Deliver Feedback of individual idea. 12.Carry out “Attendance Procedure” issued by HR strictly. 13.Assist Director of SSC to supervise own department ambassador to fill in attendance form every day and record strictly. 1.Fluent at English speaking,writting, reading & listening 2.Good attitude,communication & cooperation 3.Familiar with Microsoft Office 4.Who has relevent working experience is prefered. 1.????? 大专以上学历????? Bachelor or higher degree required2.????? 有星级酒店工作经历者优先????? ?Priority to who has relevant experience in3.?????流利的英文沟通能力???? ?Fluent English communication skills4.????? 具备热情的工作态度、一定的抗压能力，持有良好的执行力和?? 团队精神????? ?Passion with work, capacity to handle pressure, teamwork?? ?? ?spirit?